Cheap non-stop flights Manchester to Atlanta just £206 return! Virgin Atlantic promotional offer from London to Atlanta is available when departing from 15th of November to 10th of December 2018 or 16th of February to 21st of March 2019. Max stay 12 months. Virgin Altantic discount is available till 15th of December(But we do not expect this promotion will last that long). 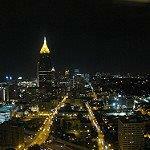 The easiest way to compare all the cheapest flights Manchester-Atlanta is at website of airlines. (Choose “up to 5 weeks” flexible search). Want to compare cheap hotels in Atlanta you can use service of leading hotel booking sites such as Booking.com or Hotels.com. You can find another interesting Virgin Atlantic promo deals here. Booking sample of Virgin Atlantic promotional deal below. Cheap non-stop flights Manchester to Atlanta just £206 return! As per our booking sample you would depart from Manhcester to Atlanta on 9th of March. Your inbound flight from United States of America back to the United Kingdom would be then on 23rd of March 2019.